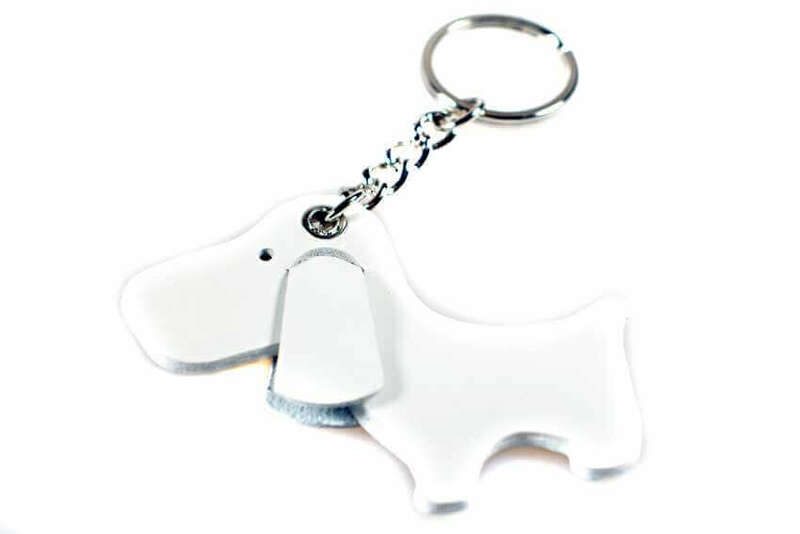 Dog Moda's snow white dog with a cute face and low hanging ears is the perfect hound to look after your keys. 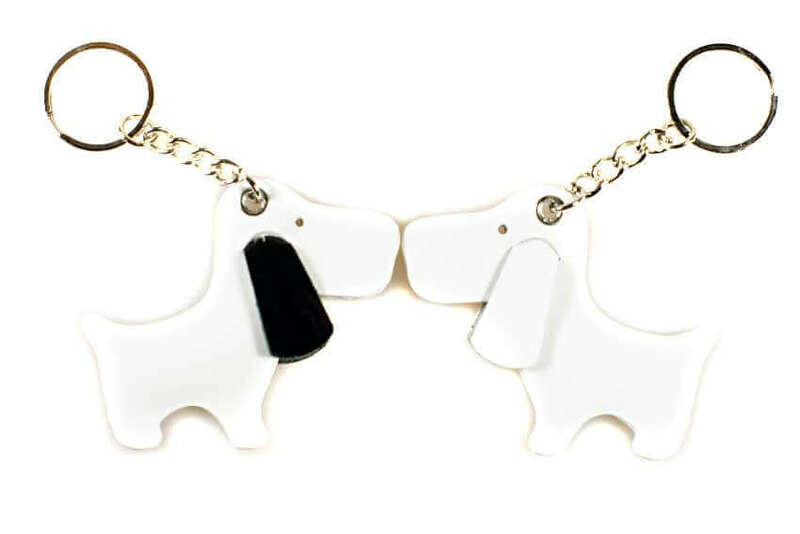 Exclusively designed by Dog Moda, this handmade leather key chain makes an unusual and stylish bag charm, as well as a great present for all dog lovers. 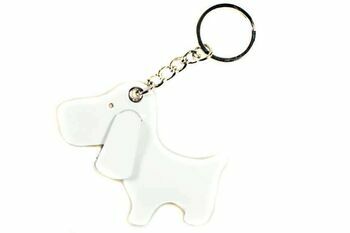 Our cute leather dog has pure white body and ears. 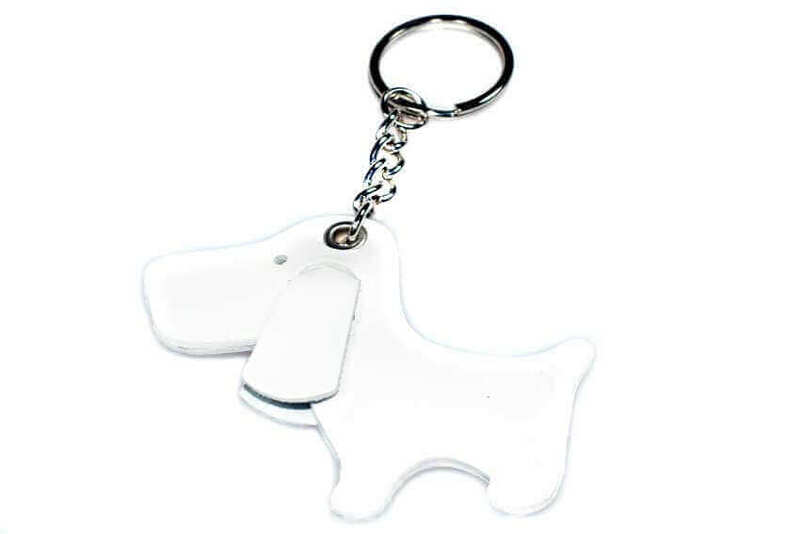 Cute dog key rings are available in other colours, please browse our key ring collection to find your perfect canine companion. Made from luxurious patent leather and stainless steel split ring. 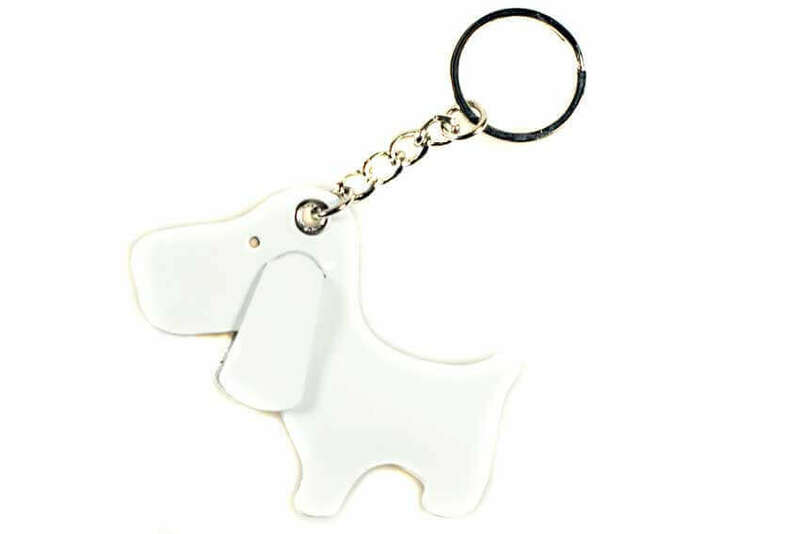 Exclusive design by Dog Moda this handmade leather dog key chain / key ring is currently available in four other dog breeds, such as Whippet, Greyhound, Basenji and Afghan Hound.